Tamar Kushnir is an Associate Professor in the Department of Human Development, and the director of the Early Childhood Cognition Laboratory. She received her M.A. in Statistics and Ph.D. in Cognitive Psychology from the University of California, Berkeley, and was a Post-Doctoral fellow at the University of Michigan. Dr. Kushnir's research examines mechanisms of learning in young children, with a focus on social learning. 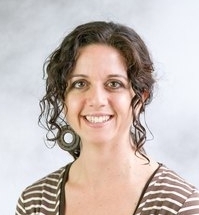 Her previous work has addressed 1)how children use statistical evidence to learn new causal relations, 2)how new evidence interacts with children's prior causal beliefs, and 3)how causal learning is influenced by children's developing social knowledge and also by their own experience of action. She continues to explore the role that children's developing knowledge - in particular their social knowledge - plays in learning, a question with implications for the study of cognitive development as well as for early childhood education. HD4490 - Children’s Learning in Social Context.